Dean Harrison added a Superbike victory to his outright lap record of the Dundrod circuit after an intense battle with Dan Kneen in the final Superbike race. It was pole man Peter Hickman who took the early lead but it was close from the off with the Tyco BMW of Kneen just 0.1sec behind at the end of the first lap. However, drama would then strike for Hickman who was forced to retire at Leathemstown with an engine failure as the second lap got underway. With race one winner Bruce Anstey out too, the battle at the front turned into a dogfight for victory between Harrison, Kneen and Padgett’s Conor Cummins. 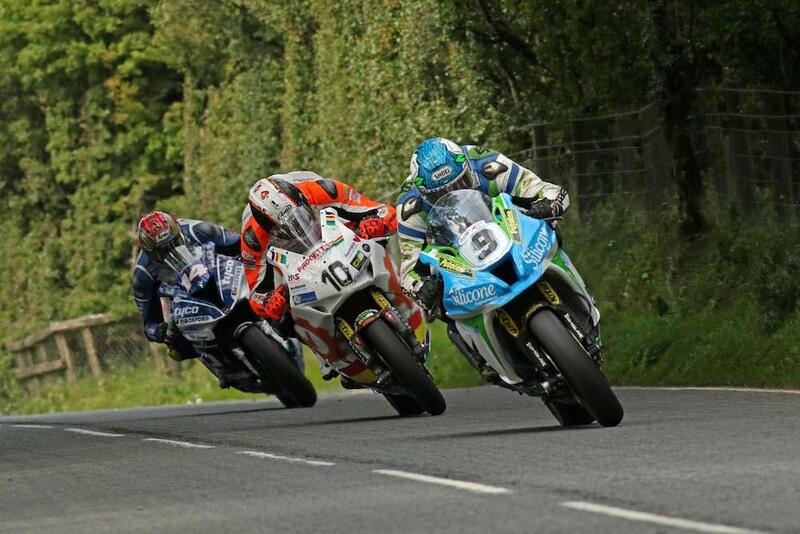 The trio traded the lead multiple times throughout the race, but it looked like Dan Kneen would be the one to the chequered flag first as he led into the final lap. Harrison re-took the lead at the start of the final 7.4 miles, but a ballsy move by Kneen put victory in his sights once again. However, Harrison was having none of it and slipped up the inside of the BMW at the hairpin, resulting in contact between the pair, before charging to the line. Michael Dunlop finished fourth to round off a tough week for Bennetts Suzuki, ahead of the Cookstown BE Suzuki of Derek Sheils and Fleetwood Grab BMW of Aussie Dave Johnson. Jamie Coward rounded off a successful week for Radcliffe’s Racing with seventh place ahead of Sam West while Ivan Lintin and Michael Sweeney rounded out the top ten.